Micki launches new stove and delicious pastries! With the food programmes on tv and increasing interest in cooking and baing, Micki is continuing to invest in developing its kitchen play range. 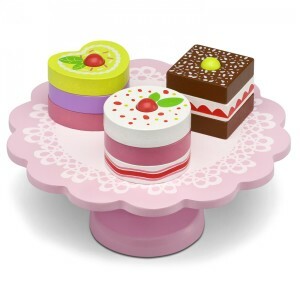 Micki’s new Mini Kitchen in the Micki Bistro series has been a major success. 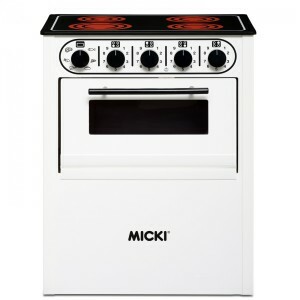 As part of the same series Micki is now launching a stove that looks very much like a real stove. “We have updated Micki’s earlier red stove to make a modern stove with a wooden hob which will stimulate kitchen-based play” says Mikael Gustavsson, product manager at Micki Leksaker. The stove was one of the new products given an enthusiastic reception on presentation at the Nuremburg International Toy Fair. 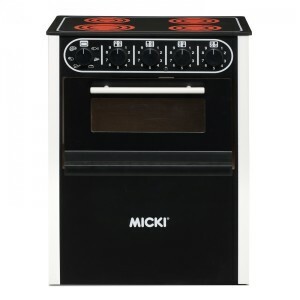 “We think the new stove will be as big a success as the Micki Mini Kitchen that we launched last year”. 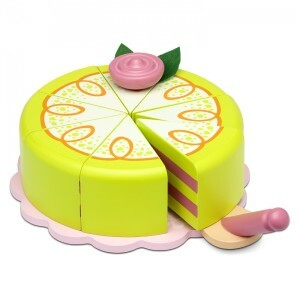 Micki is also launching delicious cakes and pastries that will be well-suited to kitchen-based play. “During the development process for these items we researched the market and found that there is very little that can be used to play with in more than one way”, says Mikael Gustavsson. “Quite often there”s just a cake, and that’s all. But we want children to be able to do more and so we have built in a variety of play elements. 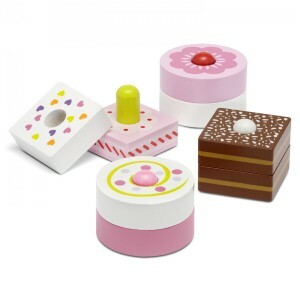 The pastries come in different shapes and colours, and are also combinable so children can create their own pastry. All the products are made of wood.